Now Into The Knock Outs. Game On! Rawalpindi Rams are in the semi finals of the 2011 Faysal Bank Super Eights. They are taking on the defending champions to the name Lahore Lions led by Mohammad Yousuf with the hope of going at least 1 better from last time. Later on Karachi Dolphins will be taking on previous 5/5 winners Sialkot Stallions. Hosting city Faisalabad who won Pakistan’s first 20/20 competition in 2005 and the club 20/20 championship in England during the same year failed to reach the knock out stages in front of their home crowd at the Iqbal stadium. The upset of the tournament so far has been Multan Tigers beating last year’s finalists Karachi Dolphins on day 3 of the tournament where the likes of Zain Abbas & Zulfiqar Babar shined to surprise one and all. 1)	Pakistan international Mohammad Hafeez bagging two first ball ducks including one on the very first ball of the tournament on his home ground. 2)	Hat-trick from Multan Tigers and Pakistan “A” left arm spinner Zulfiqar Babar against Karachi Dolphins where he dismissed Tanvir Ahmed, Mohammad Sami & Asad Shafiq successively during the penultimate over of the match. 3)	128 run opening stand in 10 overs between Ahmed Shehzad & Nasir Jamshed against Sialkot Stallions who lost their 2nd consecutive game of T20 cricket after a 20 match + undefeated streak previously. 4)	Sialkot seamer Sarmad Anwar conceding the most runs by a bowler in 20/20s at all major levels with his 4 overs going for 81. 5)	Dashing blitz from Sharjeel Khan where he was dominating the Sialkot Stallions attack & threatening to eliminate them from the competition before former Pakistan captain Shoaib Malik produced a game changing flighted delivery to remove the dangerman & disturb his stumps when he was looking in top notch form & striking the ball cleanly. 6)	Shahzaib Hassan Khan & Asad Shafiq putting on 88 inside the first 6 overs against Faisalabad Wolves in a do or die situation. Mohammad Talha was taking some serious tap from the Karachi Dynamite as he battered the bowling to all parts & delivered some lusty blows before being brilliantly caught out at extra cover by Pakistan & Wolves captain Misbah Ul Haq with a hard blooded advance down the pitch. 7)	Raza Hasan who is Pakistan’s U19 left arm spinner bowled beautifully & brilliantly at the death against Multan Tigers where he ended up of figures of 4/21 from his quota. He commenced his spell in the 13th over when Sohail Tanvir brought him on & bowled through to the end with excellent control. He bowled with intelligence & guile & maintained a nagging length which enticed the batsmen to take him on when the opportunity was not quite there which led to his wickets. He also managed to get some spin & purchase from the wicket. A future star in the making. Rams supporters will be hoping and backing him to do well today in the semi final where he will have a key part to play against a formidable Lahore Lions batting line up. Will the Rams go one better than they did last time? Will we see another Lahore vs Karachi final? Will Lions defend their title? Will Sialkot feature in yet another final? Will Stallions regain their title? All are questions to be answered as the competition reaches the climax stages. Pakistan will have a new domestic T20 winner today from a side who have not won the title previously in Karachi Dolphins or Rawalpindi Rams. Both teams have been defeated once on their road to the final. The teams played each other during the qualifying stages with Karachi Dolphins coming out on top. They also played each other last time in the semi final in one of the most thrilling high scoring T20 games ever seen with Karachi Dolphins successfully chasing down the target following the heroics of Shahzaib & Afridi. Rams are underdogs, but will be morally boosted by beating defending champions Lahore Lions in yesterday’s first semi final who had as many as 6 internationally recognised stars playing for them. 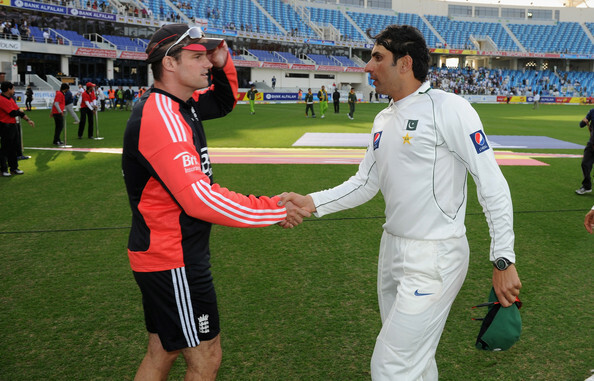 Its Mohammad Sami vs Sohail Tanvir time. Who will be lifting the trophy? Dolphins have featured in this final several times before, but without success. Is today finally their chance to go all the way? As always Pakistan Cricket will be the winner at the end of the day. May the best team win. 7pm PST start local time. Highly impressive captaincy from Sohail Tanvir throughout the tournament. Innovative, creative, dynamic, flexible planning, outside of the box tactics, leading from the front, setting high standards & marshalling his troops with all the experience he has to the tournament finale. Full marks & praise must be credited to him regardless of today’s outcome. He also captained Pakistan “A” to a 3-0 whitewash over Afghanistan towards the end of last month. Top job from the 2008 IPL hero & 2007 T20 WC find. Maybe should be used by the national team as a 20/20 specialist all-rounder. I don’t rate him that highly in ODIs and beyond. Today we witnessed an absolute enthralling cricket match at the Iqbal Stadium. One could not ask for a better final. Tremendous crowd turn out. The spectators undoubtedly turned up in their numbers and got fantastic value for their money. There were twists, turns, pressure, tension, excitement & the most nail biting contest one could ask for through a “super over” BUT at the end of the day there had to be a winner & loser and for the record RAWALPINDI RAMS are domestic Twenty20 CHAMPIONS whereas Karachi Dolphins yet again choke in the final & fail to go the distance. Cricket is fittingly the winner. A phenomenal heat absorbing spectacle for all concerned whether playing, watching or supporting. Cricket as always is well and alive in Pakistan, but the moment belongs to the Rams & their fans! They were a young side without too many big flashy names or international experience, but yet they fought like tigers & rose to the challenges inspirationally under Sohail Tanvir. Many were predicting they would not even make the semis, but as it turns out they are winners of the televised tournament. Their bowling has been formidable throughout the tournament even without one of the world’s premier 20/20 bowlers in Yasir Arafat who has taken over 100 wickets in the format & appeared in record books. Their attack was nicely balanced with reliable & attacking spinners, wicket taking new ball options, handy medium pacers who know how to take wickets & death specialists. Plenty of energy & enthusiasm as one would associate with a young side in the field. They had an excellent eye catching wicket keeper batsman to the name Jamal Anwar who made a name for himself as both a keeper & batsmen with his displays. He demonstrated efficiency, maturity & skill in both departments and with age on his side could well be knocking on the doors of national selection in the near future. In regards to the batting, they had the luxuries of an explosive left right opening combination who played fearlessly & confidently which provided top starts to seize initiative in games & put the opposition on the backfoot. Umar Amin played a cautious, watchful & measured innings in the final as he did in the opening game of the tournament when his team were up against it & looking down & out however, his resilience & level headed approach brought the Rams back in contention on both occasions. Overall, good sings for Pakistan Cricket and Rawalpindi Cricket who are not a huge force in cricket within Pakistan to bring heartening results to their fans with their youthful exuberance such as Mohammad Rameez, Raza Hasan, Hammad Azam, Jamal Anwar, Umar Amin etc who are all capable of representing Pakistan successfully in many years to come. Rest assured there are many young gems to be unleashed. 1)Sohail Khan - fast bowler (Karachi Dolphins) - 14 wickets in just 16 overs!